2018-2019 Academic Year Application Now Available! Why live on campus? Because Success Lives Here! This is not just another place to live. The office of Student Housing and Conference Services is a gateway to the complete California State University, Northridge experience. Convenience, safety, academic assistance and constant support are qualities that make living at CSUN a great choice. 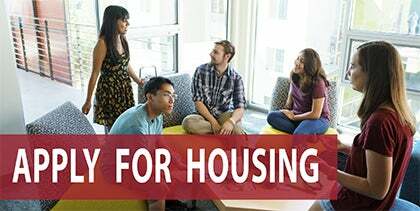 Student Housing exists to promote individual development, academic success and conscientious citizenship among future and current residents through its facilities, services and programs. Student Housing also provides the resources students need to foster respectful and responsible living in a learning environment.